Home » Blog » Are we finally saying goodbye to keywords? Are we finally saying goodbye to keywords? Last year, Google has made the move to cut off all keyword data, much to the chagrin of many Internet marketers, by providing encrypted searches using HTTPS. This means, keyword data will no longer be shared with the website owner. The reason for this is that Google wants to bring extra protection to users who may not be signed in. But does this mean that we are finally parting with keywords? Not quite. But with the advent of mobile search and the release of Siri and Google Glasses, you might as well as make room for the new search query model and focus less on the keyword-driven model. As things are changing and as Google Algorithms are constantly updating, the keyword searches is fast becoming inadequate. With the new search query model, however, Google is able to determine what the user wants a whole lot easier than the former model. That is because user context has been taken much into consideration. Google’s shift from indexing to understanding has produced better search results, according to many users. 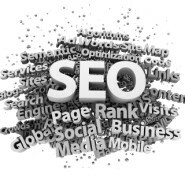 So what does that mean to SEO and the future of Internet Marketing? Is the future already bleak for them in the coming years? Not to worry. Search Engine Optimization will never be dead. But you, as an online marketer will have to shift your focus from keywords to context. Think about the various situations which would prompt a user to go online and make a search query. A little intent research will help you discover what users are looking for so you can best serve them in the future. In addition, focusing more on user intent rather than on keywords will help you come up with topics and create content which are geared towards the needs of the user (or at least, towards what he or she is searching for at the moment). So while we may not totally be saying goodbye to keywords, moving away from it to focus more on understanding user intent may be able to guarantee you more traffic even when Google’s Algorithms are being updated again and previous SEO practices are rendered useless.